Hey all! In an attempt to make a little money to help fund my trip to Salt Lake City in May for Spring Quilt Market I have decided to destash some of my hard to find and out of print fabrics. I'm pretty sad to see these babies go but it will be worth it when I get to see all of my super-awesome quilty friends, especially my "big sister" Jennifer. I have been saving up from working at the library, but as many of you may know, being a full-time graduate student is an expensive business! 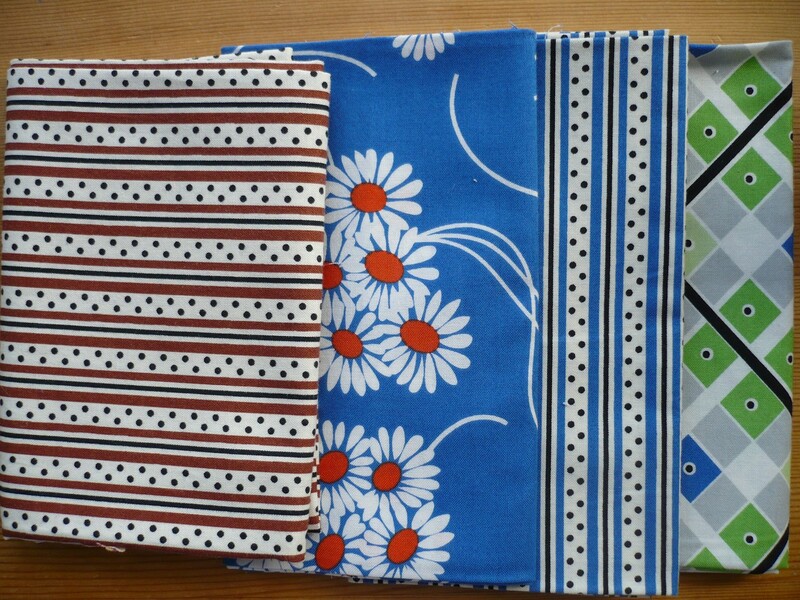 Heather Ross Spoonflower prints. 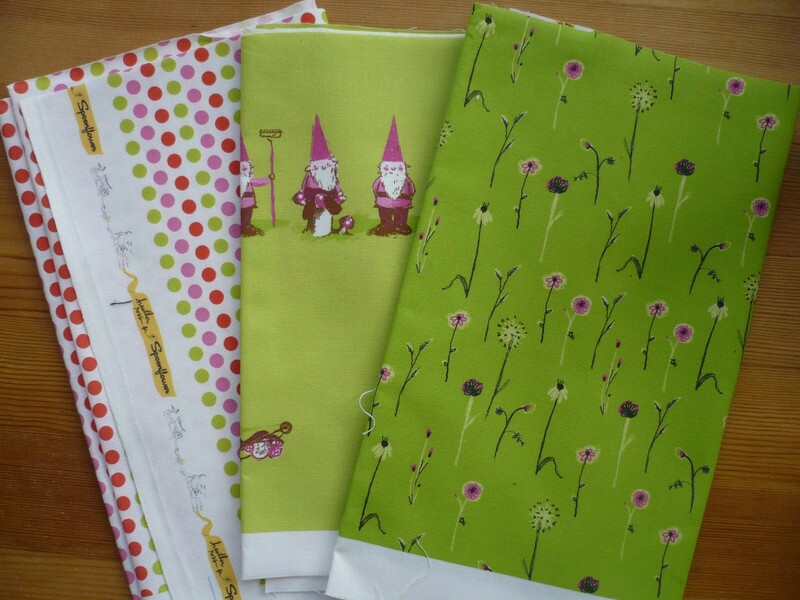 These guys are each 1/4 yard across the width of fabric - aren't the gnomes just too cute?! Denyse Schmidt Katie Jump Rope. The brown stripe is larger than a fat quarter, the two blue prints are about a fat quarter, and the green argyle is 15x22" and then some. Tula Pink Full Moon Forest. 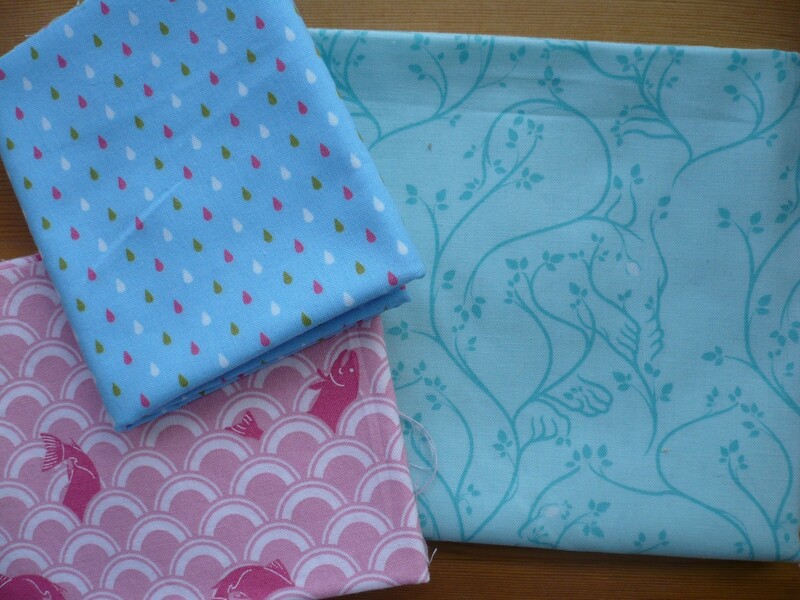 Three fat quarters including the super-awesome aqua squirrels print! This is just a little sampling of what is available in my little shop - currently there are other Heather Ross, Tula Pink, and Anna Maria Horner prints available and I still have more to add including some Tula Pink Neptune, Heather Ross Mendocino, and maybe even a little Flea Market Fancy (if I can get up the courage to let some of it go). If you're interested come on over to Etsy and see my little destash (I'm sure Alex would appreciate it if some of the fabric were to get out)! Oh, Yay! You have a shop! :) Fantastic! Heading over now! Bummed I missed out on the princess and the pea fabric! But anyways, nice to find you! I saw your summer dreaming tutorial the other day adn was impressed, then somehow found you again by accident today.....I am also a Canadian, from Winnipeg so I always like when I find other Canucks! And I am impressed that you head the Modern Quilt Guild there....I don't believe there is one in Winnipeg, and would love to get one going, any pointers?? One pretty pincushion and a giveaway winner!